I can access the database but when I added another table & fetch table data it generally hung up. Not sure if I need to change anything. Any thoughts? When accessing any table for the first time, QODBC will bring table specific data to the optimizer file to increase retrieval performance for queries. Once the optimizer is built, accessing the same table will be much faster when compared to accessing it the first time or without the use of optimizer. 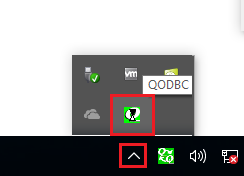 If you see QODBC icon (not hourglass) in System Tray, it means QODBC is connected to QuickBooks and currently there is no query executing. When QODBC hung up or your application goes to Not Responding mode. You can check what QODBC is performing from Windows System Tray. 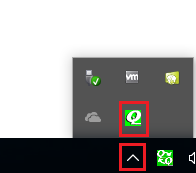 You will notice QODBC icon in Windows System Tray showing hourglass. 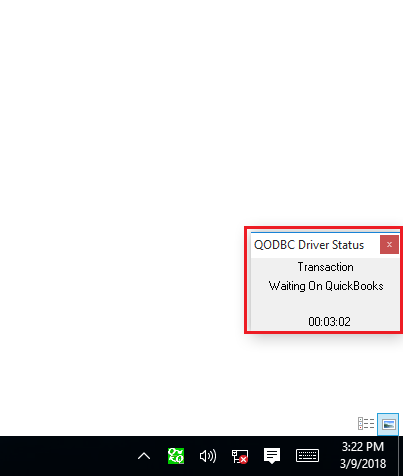 If you want to see what QODBC is performing, then right-click on QODBC icon & click "Driver Status Panel". 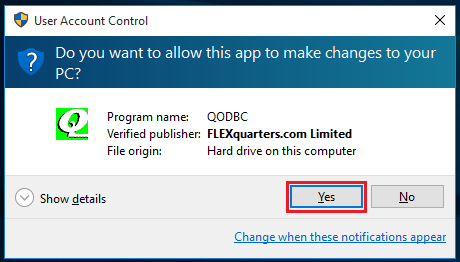 QODBC will open UAC window, please click on "Yes" in UAC window to open "Driver Status Panel". There will be a status panel at the lower right corner of your screen, will be shown a window with information on what QODBC is working at. If you see “Waiting On QuickBooks”, It means QuickBooks is taking time to process the request.